The public service commercial "Embrace Life" has been effective at drawing attention to the importance of driver safety and in particular seatbelt wearing. It is on track to soon garner its one millionth view, a benchmark of note for a public safety campaign. 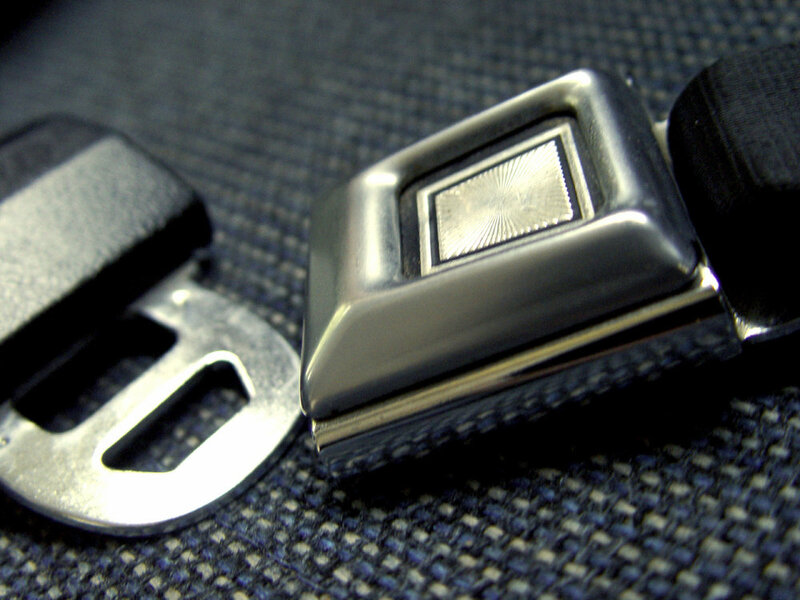 Seat belts will save lives, but only if they are worn — and only then if they are worn properly. Most drivers and passengers never think about proper seat belt fit (or seat belt geometry). Most simply assume if the seat belt is buckled, it will automatically protect you. Seat belts must fit properly in order to be effective. The lap belt portion must fit snugly across the body structures of your hips. For three-point (or lap/shoulder) belts, the shoulder portion must be snug against your chest and cross at your shoulder. A few vehicles on the road today are equipped with seat belts mounted inside the seat back itself — known as "integrated seat belts" or "all belts to seat". These belts provide the safest fit and geometry. Most other vehicles at least provide adjustable shoulder belts (although the range of adjustability may vary). Make sure to adjust your shoulder belt so that it fits properly. Never let the seat belt cross over your neck and never tuck the shoulder belt behind you. Some seat belts are not designed properly and simply cannot be worn safely. For example, many vehicles on the road still have two-point (or lap belt only) seat belts. This type of restraint system leaves your torso and head — the heaviest and most vital portion of your body — completely unrestrained in an accident or collision. Car makers have known of the dangers of lap belt only restraints for decades, but only recently began providing three-point (lap/shoulder belt) restraints in every seat. Avoid sitting in a location that provides a lap belt only restraint if at all possible. Defective seat belts — those with bad geometry, poor fit or other bad designs — will make injuries worse in an accident. Most drivers simply assume putting a seat belt on automatically makes you safer. However, car companies have known for decades that poorly designed seat belts — like lap belt only designs or seat belts that do not fit correctly — will make injuries worse. Lap belt only designs cause the upper portion of your body to jack-knife forward in a frontal collision. Jack-knifing in this way will cause severe internal damage (likely to your liver, stomach or bowel) and may even break your back and sever your spinal cord, causing paralysis. Poor belt geometry will permit your torso to slam into the shoulder belt, causing severe damage to your heart and lungs. Geometry that permits the shoulder belt to cross at your neck may also lead to paralysis or death in even a minor frontal collision. The relative inadequacy of lap belts to provide crash protection, and their ability to induce serious injury, have been known for many years to researchers, some parts of the medical profession, and to others concerned with occupant crash protection. Lap/shoulder belts provide superior crash protection to that of lap belts alone, and present a significantly lesser risk of induced injury; such systems appear to work effectively even for children, and they can be used with child safety seats and booster seats. Despite this warning, car companies strongly objected to requirements for dynamic testing or comfort/convenience features for three-point, lap/shoulder seat belts in every seating position.